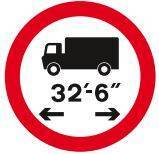 The basic procedure for negotiating a hazard is MSM: mirror, signal, manoeuvre. This means that if you want to move left the first thing you check is your nearside (left) mirror, and if you want to move right, the first thing you check is your offside (right) mirror). MSM is slightly flawed in that it doesn’t tell you to check your blind spot, which you should do before the manoeuvre. As you approach a junction, choose your lane early. If you make the wrong lane choice, don’t change lanes at the last minute as this could cause another vehicle to hit you from behind. You can always turn around once you have gone through the junction. When you are turning right at junctions the last thing you should do before turning is check your blind spot to your right – this is called a lifesaver glance or a head check if you are riding a motorbike. If you are turning left you should check left for cyclists or motorcyclists that might be overtaking you on the nearside. Motorcyclists are much less visible at junctions. Make sure you have positioned your vehicle close to the centre line so that other drivers can pass you on your left. If you want to pull up on the left just after a junction, don’t indicate until you are past the junction. If there are no road signs or markings do not assume that you have priority. Remember that other drivers may assume they have the right to go. No type of vehicle has priority but it’s courteous to give way to large vehicles. 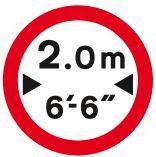 Also look out in particular for cyclists and motorcyclists. When you want to go straight on at a roundabout, don’t signal as you approach it, but indicate left just after you pass the exit before the one you wish to take. 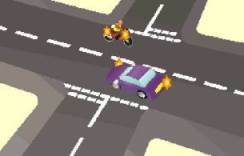 In the scenario shown below it’s better to keep the vehicle on the right of you because you have a better view of approaching traffic. On a three-lane or two-lane dual carriageway, you can use the right-hand lane for turning right. You should normally use the left-hand lane on any dual carriageway unless you are overtaking or turning right. When overtaking on a dual carriageway, look for vehicles ahead that are turning right. They’re likely to be slowing or stopped. You need to see them in good time so that you can take appropriate action. You can overtake other traffic on either side when travelling in a one-way street, as long as there are lanes and it’s safe. Make full use of your mirrors and ensure that it’s clear all around before you attempt to overtake. 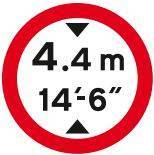 Look for signs and road markings and use the most suitable lane for your destination. When driving down a narrow street look out for children running out from between cars, cars opening their doors, cars pulling out, and be careful of your wing mirrors hitting other vehicles. If there are passing bays on your left then you will need to use them if you meet another vehicle and there’s not enough room for both of you to pass. If you meet an obstruction on your side of the road, give way to it until it can get out of your way; or if it’s a stationary obstruction give way to oncoming traffic until you can drive around it. 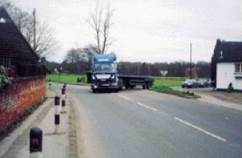 When driving a long vehicle around corners it’s sometimes necessary to adopt a different road position and straddle lanes to avoid mounting the kerb or colliding with street furniture such as lamp posts, traffic signs, etc. Other road users may not understand what you intend to do next. Be on your guard for other road users by using your mirrors to check all around your vehicle. Other traffic might try to move up alongside in the gap you’ve left to make your turn. Good planning and anticipation will allow you to signal your intentions to other road users and take up your position in good time. 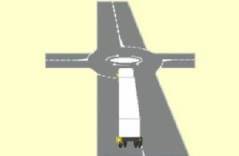 The turning circle is the amount of space needed for the vehicle to turn. You’ll need to consider this as you approach junctions and road layouts, especially if you have large overhangs (these are common on some buses and also vehicles like car transporters. 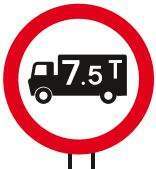 If you’re driving a new or temporary vehicle, familiarise yourself with its characteristics before you drive on public roads. If you’re driving an empty curtain-sided vehicle, you can help to lower the resistance to side winds if you tie back the curtains. The air will be able to flow across the flat bed of the vehicle and lessen any loss of control, particularly when crossing exposed viaducts or bridges. Here’s how a truck gets blown over in the wind.